What Buyers Need to Know About TRID? TILA is the Truth in Lending Act that has been around since 1968. And yes this all has to do with rules governing consumers applying for people loans. TRID is a marriage of sorts. TILA and RESPA were married by the CFPB which of course is the Consumer Financial Protection Bureau. I found a handy dandy guide that condenses thousands of pages of legislation down to 90 pages. TRID was supposed to go into effect in August and was postponed until October 3rd. So any borrower applying for a mortgage loan on or after October 3rd will be impacted by the new rules. TRID helps consumers by covering disclosures and loan estimates….from now on borrowers shouldn’t have any surprises at the closing. The biggest take away from ongoing training classes is that after October 3rd, unless a buyer is paying cash, you’ll need to allow at least 15 more days between the time an offer is written and the closing occurs. I will be telling my clients that the process will take a minimum of 45 days if nothing goes wrong and will, most likely request a closing 60 days after acceptance so we don’t miss contract dates. There are all sorts of situations where the new laws could add another 10 days onto the length of time it takes to get the loan ready for closing. Persons wishing to sell one home and buy another all on the same day will have to have a plan B because odds are against both closings being on time. Sometimes we see chains that involve the purchase of a home and the sale of another by people who are purchasing another from people who are also selling and purchasing. Unfortunately the only people who care about ease and efficiency in the lending process are borrowers. 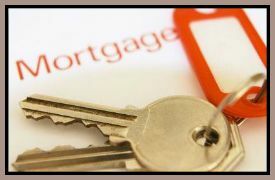 There is no reward or penalty for lenders for if they close on time or if the closing is delayed. The whole real estate industry is in a kerfuffle over this weekend’s cutover. The new law gives all the closing authority into the hands of the lender and everybody- including buyer, seller, title company and real estate agents have no say or control setting a date for the closing. The first few months will be a learning process for everybody so ask questions and be patient. Also borrowers need to be vigilant when their lender requests further documentation or paperwork. Stay tuned for upadates as the program evolves.